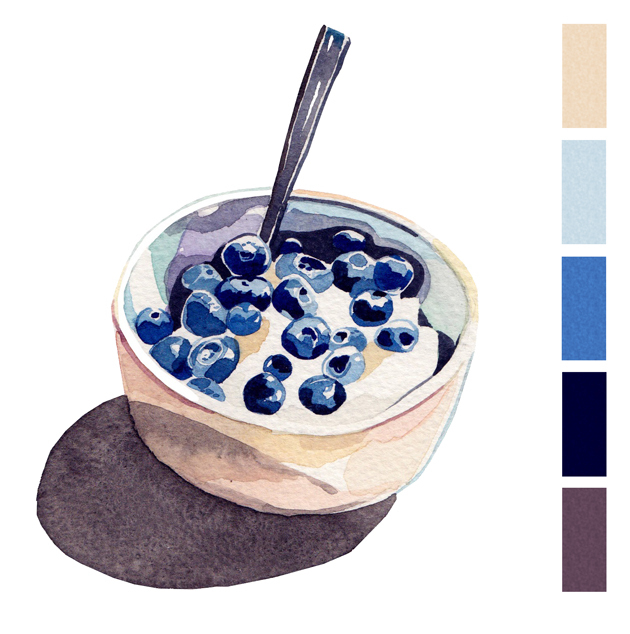 Blueberry Bowl, by Holly Exley. More of her beautiful art can be seen in her Portfolio and her Flickr Stream. gorgeous work! I love the color palette - so pretty! This would be so lovely hung in a kitchen. The colors are beautiful. She has a great vintage calculator in her online shop too. Me want! This makes me hungry and inspired at the same time. What a fresh set of palettes. You go girl!! I cannot wait for blueberries to get in season! A bowl full of milk and blueberries is exactly the way I like to start my day! Yum! Love blueberries -- taste and color. Not to mention the antioxidants.